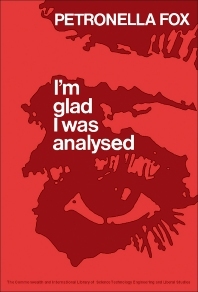 I'm Glad I was Analysed is a two-part book, wherein the first part elucidates what involves in ""being analyzed."" This part removes some doubts and perplexities that may arise in planning to consult a psychoanalyst. The second part tries to show the relation of analytic theory to everyday life. The book also covers important topics on the origins of the misuse of normal aggression and the production of wars. The text also underlines mixed motives and ""double-think"" to which all are prone.